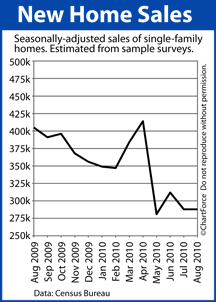 After 3 straight months of improvement, the Pending Home Sales Index slid lower in September. As compared to August, September’s reading fell 2 percent. A “pending home sale” is a home under contract to sell, but not yet closed. The data is drawn from a combination of local real estate associations and national brokers, and represents 20 percent of all purchase transactions in a given month. Because of the large sample set, and because 80 percent of homes under contract close within 60 days, the Pending Home Sales Index is a terrific future indicator for the housing market. A high correlation exists between the Pending Home Sales Index and the NAR’s monthly Existing Home Sales report issued two months hence. Expect home sales to idle into the New Year, therefore. For home buyers in , this is good news. Over the last two months, housing markets have overwhelmingly favored home sellers. Consider than, since June, the volume of both new home sales and existing home sales has increased, causing the available home inventory to fall by months. Meanwhile, helped by low interest rates, demand from buyers has remained relatively stable. As with everything in economics, falling supply with constant demand leads to higher prices. Therefore, the Pending Home Sales Index’s fading September figures suggest a more balanced supply-and-demand curve in the months ahead, a move that should suppress rising home prices and shift negotiation leverage back to the buy-side. So long as mortgage rates remain rock bottom, the autumn season is looking like a terrific time to buy. What does this mean to you, the real estate investor? Well, if you are a rehabber, it means your end buyer can buy a brand new home almost as inexpensively as that rehab that you just finished. So you have to price accordingly. To do that, you have to buy it right to start with. 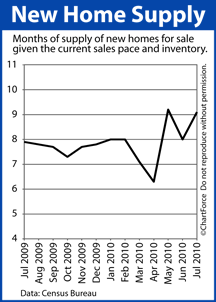 Read on for more about New Home Sales…. One day after the National Association of Realtors released the softest Existing Home Sales report since 1995, the U.S. Census Bureau released a similarly-weak New Home Sales report. Americans bought just 276,000 newly-built homes in July. That marks the fewest units sold since the government started keeping records in 1963. In addition, although new home inventory actually dropped 2,000 units in July, the slowing sales pace still managed to push the national supply higher by 1.1 months. At July’s rate of sales, the nation’s new home inventory would be exhausted in just about 9 months. None of this news should surprise you, though. It’s all been foreshadowed for weeks. 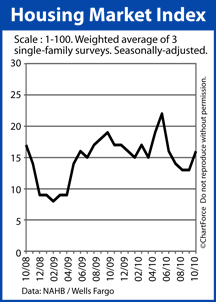 First, Single-Family Housing Starts have dropped in every month since April. A “housing start” is a when a home starts construction and, because fewer homes are under construction, we should expect fewer homes to be sold. Second, Building Permits are down. The number of new permits peaked in March and have fallen 23 percent since. 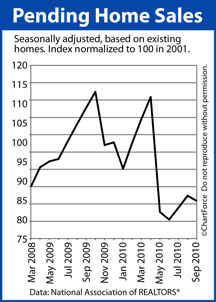 And, lastly, home builder confidence ranks at its lowest levels since early-2009. A contributing factor in that pessimism is dwindling buyer foot traffic. Regardless, there’s two sides to the story. Although the New Home Sales data looks bad for builders, it can be terrific for home buyers. This is because new homes are more likely to be discounted when the sales cycle favors buyers. Coupled with ultra-low mortgage rates, the cost of buying a newly-built home may have just become cheaper.